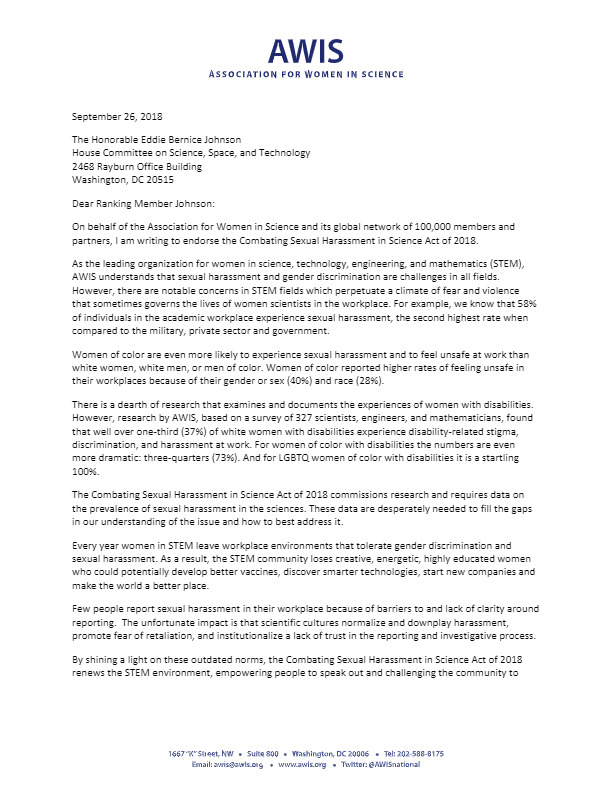 AWIS endorsed the Combating Sexual Harassment in Sciences Act of 2018, which was introduced by Science, Space and Technology House Committee Ranking Member Eddie Bernice Johnson. Through research and action, the House bill helps understand the prevalence of and addresses sexual harassment in the sciences. Available is AWIS’ endorsement of the House bill.